I will not share everything that I do or say or think. Sometimes, more can be achieved in quiet than by demonstration. For (genuinely hypothetical) example, when training people in the fight against conflict antiquities trafficking, it may be sensible to base the training on evidence from other regions, rather than to negotiate the political sensitivities of the region (which might otherwise disrupt or prevent the training, which would perpetuate the suffering of the victims). Likewise, when using one’s freedom to address sensitive issues, it is critical to avoid making life even more difficult for those who do not enjoy the same freedom, who acquiesce to some objectionable matters in order to change others. Nevertheless, I will share more in due time. Basically, I will continue my research, assist with research-based teaching and contribute to public engagement with regard to illicit trafficking of cultural objects in Qatar, across the Middle East and North Africa (MENA)/West Asia and North Africa (WANA) and around the world. Since I remain committed to the values of respect, fairness, equality, integrity and transparency, it is important to acknowledge that such an opportunity is also a quandary, for me as for others in and around UCL (and UCL Qatar is ‘a direct part of UCL’). 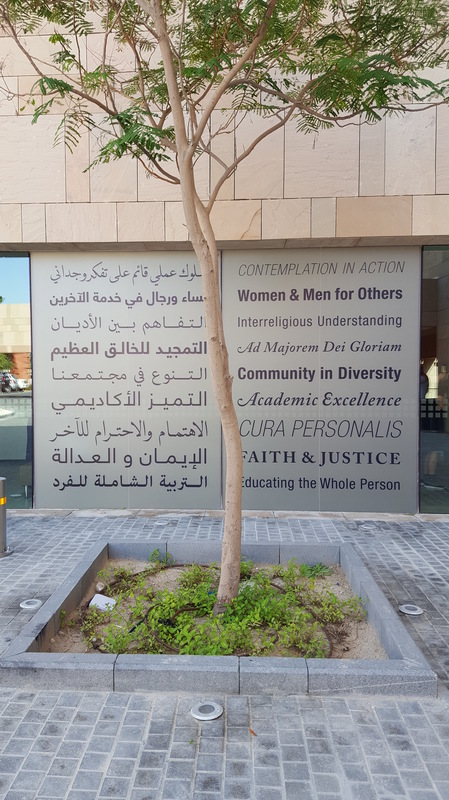 In 2014, the campus had to backtrack to undo sexist discrimination in housing support from its partner, the Qatar Foundation (which is officially a non-governmental organisation, but which is practically a ‘quasi-governmental’ organisation, according to the United States, Human Rights Watch and Freedom House). As then campus director Thilo Rehren had petitioned internally, the policy was ‘morally and legally not acceptable’. The country is still sexist, homophobic and anti-non-Muslim – and racist. In other employment matters, for which UCL has been criticised by politicians in the UK, the campus has limited itself to ‘encourag[ing] better practice’ in Qatar. Appealing for the withdrawal of Georgetown University, within whose campus UCL’s campus is nested, the Editorial Board of the Georgetown Voice has argued that ‘Qatar’s international aspirations would not be possible without widespread human suffering and the systemic denial of human rights to workers’. UCLQ is part of a multi-institutional Education City where, as documented by the International Trade Union Confederation (ITUC), the administrative and maintenance workers of the Qatar Foundation have been ‘migrant workers [who] were being paid lower-than-expected wages’ (when the minimum wage has since been set at 750 QAR, around 206 USD, per month, while campus workers receive 1,000-1,700 QAR, around 275-467 USD), ‘having their passports confiscated, [being] trafficked for forced labour and living in cramped conditions’. At least for others under kafala, they have been ‘squalid or unsanitary’ conditions in ‘squalid labour camps’. Those conditions violated the standards of the Qatar Foundation, let alone the International Labour Organization (ILO). In recent months, Deutsche Welle witnessed ‘clear breach[es] of [the] law’ at Education City Stadium. Qatar’s “sponsorship” (kafala/kafalah) system of indentured labour for migrant workers has led to it being counted as one of the slave states of the Gulf Arab region (where intensive modern slavery persists). According to workers in the everyday economy and for the 2022 FIFA World Cup, it constitutes ‘debt slave[ry]’, sheer ‘slave[ry]’ and ‘apartheid’. Last year, Qatar committed to dismantling the system; the ILO closed its complaint about forced labour and launched a technical cooperation programme for labour rights. This year, Qatar has made progress towards the abolition of kafala, such as the creation of mechanisms for labour dispute resolution (yet not the legalisation of unionisation). According to investigative journalists, contrary to ‘demonstrably false’ claims about the significance of the reforms, ‘very little has actually happened, and the situation on the ground remains dire’. In the experience of at least some workers, ‘nothing has changed’ at all, not even the confiscation of their passports by their employers or the risk of death. Grimly, this is perhaps best evidenced by the efforts themselves. At an ‘event to mark International Labour Day’, the winners of a contest on the subject of safety measures ‘were given… safety equipment’.